Improving people’s lives through big data and emotional intelligence, El Kaliouby co-found the US-based Affectiva – a startup that provides emotion analytics for market research applications. Before venturing into the world of entrepreneurship, as a Research Scientist at MIT Media Lab, El Kaliouby built “affective technology” that worked on improving communication with particular benefit to autism. She joined MIT Media Lab soon after she earned her PhD degree in Computer Science from the University of Cambridge where she developed a real-time facial emotion sensing system. El Kaliouby’s passion for emotional intelligence dates back to her undergraduate college years when she was studying Computer Science at the American University in Cairo. This tech entrepreneur has been on a mission to advance and harness the potential of emotion-sensing technology ever since. Enonchong’s US-based AppsTech is a leading global provider of enterprise application solutions. Found in 1999, this tech company is also an Oracle Platinum Partner, offering multiple software products and services that range from solution architecting to managing application services. The African tech entrepreneur is dedicated to promoting technology on the continent. She found the Africa Technology Forum, an NGO that helps tech startups in Africa. 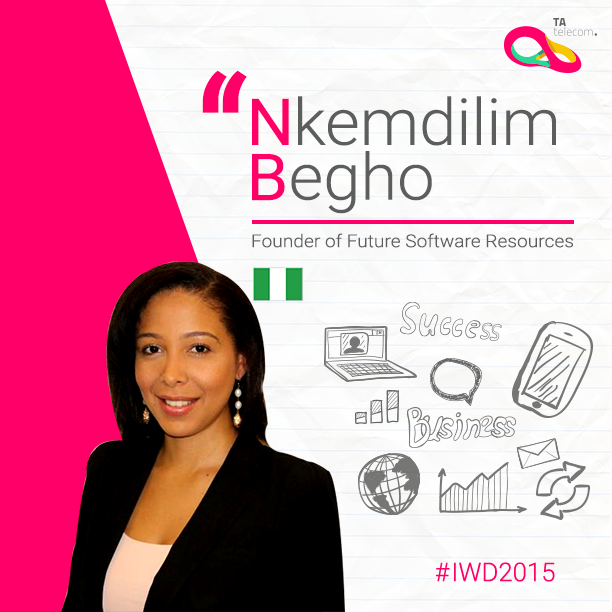 She is also active in mentoring many African tech startups herself. Enonchong is also on the board of VC4Africa, one of the biggest African online communities dedicated to entrepreneurs. Enonchong is recognized by the World Economic Forum as Global Leader for Tomorrow. As a tech influencer on African tech news, she is famous on Twitter as @Africatechie with almost 43,000 followers. Mallinson’s South African-based Obami is an online social learning management platform that brings together multiple stakeholders in the education space – from learners to teachers, parents, government, NGOs, and even corporates. The Obami platform is now used by many schools in Africa, Europe and the US. It works on the premise of sharing educational resources to help stakeholders better improve learning. In 2011, Obami was recognized among the “Top 10 Most Innovative Technologies in the World” by Netexplo, UNESCO and partners. Mallinson has also contributed to the UNESCO Courier; acknowledged for being one of 21 young people who are effecting change in the world. She earned her Bachelor’s degree of Business Science from the University of Cape Town in 2003. Clarisse Iribagiza (Rwanda), Founder HeHe Ltd.
Iribagiza’s Rwanda-based HeHe Ltd. is a mobile applications development firm founded in 2010. The company provides new ways for businesses to reach their customers in a cost-efficient, convenient and timely manner. In 2011, she earned her Bachelor of Science degree in Computer Engineering from the Kigali Institute of Science and Technology. In the same year, she started a tech startup network in Rwanda along with other young tech entrepreneurs. The iHills network provides mentoring and access to funds in an attempt to make Rwanda Africa’s coming tech hub. Iribagiza founded her company in 2010, just one year before graduating, when she won a grant worth USD 50,000 in an entrepreneurship contest on Rwandan TV. Begho’s Nigeria-based Future Software Resources Ltd, is a web design and solution provider, offering web development, hosting and portal development. The company’s services also include online marketing, developing content management systems, SEO and branding. It also develops business and educational software. Begho is active on several causes including children, education, human rights, poverty alleviation and advancing science and technology. She is a facilitator at the Women’s Technology Empowerment Centre (W.TEC) – a Nigerian NGO that empowers women and girls, socially and economically through technology. She is also a facilitator with the Ajegunle.org project, promoting economic empowerment through ICT entrepreneurship and training. In 2006, Begho earned her Bachelor of Science degree in Bioinformatics from Ludwig-Maximilians Universät München.